Steve Wu is a lawyer with Silicon Valley Law Group in San Jose, California, in the same federal judicial district as San Francisco. He advises clients concerning virtual worlds, new media, Web 2.0, and the 3D Internet. He also provides counseling services concerning e-discovery, digital evidence, and legal matters relating to information security and privacy, including regulatory compliance, security breach liability, incident response, disaster recovery, authentication, electronic contracting, digital and other electronic signatures, and public key infrastructures. Steve’s practice also includes technology transactions, intellectual property litigation, and general commercial litigation. 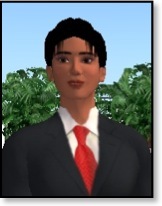 Steve is Past President of the SL Bar Association in the Second Life® virtual world, where his avatar is “Legal Writer.” He also served as the 2010-2011 Chair of the American Bar Association Section of Science and Technology Law. He is a member of the Section's Virtual Worlds and Multiuser Online Games Committee, its eDiscovery & Digital Evidence Committee, its Artificial Intelligence and Robotics Committee, and its Information Security Committee (ISC). Steve was ISC co-chair from 2001 to 2004. Steve teaches technology law at Santa Clara University School of Law, and twice taught its course on virtual worlds and video game law. Steve has written or co-written five books on information security law and frequently speaks on data protection, privacy, e-discovery/forensics/e-retention topics before forums such as the RSA Security Conference, Vanguard Security Expo, the American Bar Association Annual Meeting, and Practicing Law Institute. This website is designed for general information only. The website does not comprise legal advice or create an attorney-client relationship.